Dude, you're scaring the crap out of me,' said Nick. 'I'm serious, I literally have no crap right now. Check that - I've found the end. Nick, please be kind enough to withdraw your head to a reasonable distance from my hindquarters. #41: SLEEP WHEN YOU’RE SLEEPY. CATS TAKE NAPS SO THEY’RE ALWAYS READY FOR ANYTHING. Though it may seem like just another run-of-the-mill Sci Fi adventure for teenage boys, The Paladin Prophecy benefits from a strong, unpredictable and speedy plot line, plenty of gadget fun, intensely gripping high-level conspiracy and a cast of characters that you'll instantly fell in love with. In other words, it's a highly entertaining, extremely well-written Sci-Fi Thriller that will impress you with its sharp pacing, wittiness and nifty sense of fun. An all-around awesome story that will appeal to boys and girls alike - no matter the age! Will is not your regular teenage boy. His talents and abilities make him very special. He's incredibly intelligent, quick-witted, and a fast runner. But that's not everything! He possesses abilities - of both physical and psychic nature - he's not even aware of yet. And, as he will soon discover, those abilities are just as likely to make his life easier, as they are to get him in serious trouble. And it doesn't take long for the trouble to come knocking on his door. Soon after scoring off the charts on a nationwide exam, Will finds himself at a center of a centuries-old conflict with an alternate dimension (the Never-Was), running for his life and fighting for his family, his future and the entire human race. While I'm certainly not an expert when it comes to pre-teen/teen Sci Fi Adventures aimed primarily at younger male audience, I'd like to think that I do know a thing or two about good fiction. And The Paladin Prophecy, my darlings, is a prime example of such a fiction. It's a rare treat that combines relatable characters, breathtaking action sequences, emotional storytelling and even some deeper and more profound thoughts about life, destiny, family and growing up. While it's not completely free of serious themes and darker moments, it's certainly not a heavy or angsty read either. To me, it's a perfectly balanced blend of action, adventure, Sci Fi elements, mystery and humor. Now, if I were to describe this book to someone in just one sentence, I'd say it's an incredibly cool mash-up of X-Man, I Am Number Four, Bourne Identity sort of conspiracy and a complex fantasy-like world such as the one in the Harry Potter universe. This isn't just Sci Fi. It's more than just an action-packed adventure, too. It's all that and more. There's magic, secrets, different dimensions, monsters, high-tech gadgets, characters with out-of-this-world abilities and characteristics, violence and drama. Some parts of the plot are just as cool as they are highly implausible, but that doesn't stop you from having a whole lot of fun with this book. Moreover, at nearly 600 pages long, The Paladin Prophecy makes for a surprisingly engaging, quick and light page-turner. While the book races along at a nearly break-neck speed, the story does occasionally slow down and a few important messages surface. Our hero learns a lot about himself, his family, the abilities he possesses and what he can do with them. He also learns a lot about his past and how much his parents sacrificed to protect him. Some lessons are easier than others, some even come across as a bit too cheesy, but what matters most is the character growth that is clearly visible in Will. As the story progresses, he becomes more mature and responsible and even though his cocky sense of humor and self-confidence never really leave him, he begins to morph from an overconfident genius-kid into an admirable young man aware of the many responsibilities resting on his shoulders. Will is a delightful narrator. His witty comments and hilarious inner monologues will have you cracking up and snorting your drink through your nose. His voice is sharp, clever and, well, very teenage-like. Mark Frost did an awesome job adjusting the narrative voice to accommodate the younger audience. The result is not only completely convincing, but also quite pleasantly hilarious. In my opinion, it's Will's incredible charisma and phenomenal personality that drives this book forward and elevates the reading experience to a whole new level of awesome. I quite simply loved Will as the lead character. Overall, The Paladin Prophecy proved to be a very satisfying beginning to what is quickly becoming one of my favorite teen adventures! One thing for sure, I am glad I waited with reading book one in this fantastic series until now and could then jump straight into book two. With a suspenseful ending like that and so many questions left unanswered, I really don't think I could handle the wait! 1) The Paladin Prophecy was your first venture into the young adult genre, and an immensely successful one at that! What inspired you to write books for teen readers and how was writing them different from your adult work? 2) What stories - books or movies - influenced your writing most? When I hit adolescence Tolkien was just coming onto our cultural radar screen and I devoured those books. Read them every year for five years! 3) What were the challenges in bringing this story to life? 4) Will is one incredibly witty character and his narrative voice is simply fantastic! I loved his cleverness and amazing personality. Did you find it challenging to write from the point of view of a teenager? 5) Was Alliance any easier or harder to write than the first book in the series, The Paladin Prophecy? Because world-building and character creation are such a big part of Book One, Alliance couldn’t help but be somewhat easier. But it’s never easy-easy. If it was easy anybody could do it! 6) When is the next book in the series due out? Any hints on what will happen in book 3? A huge pile of books about my NEXT book, a non-fiction examination of the life of one of the great philosopher-sages of the 20th century… more to come! 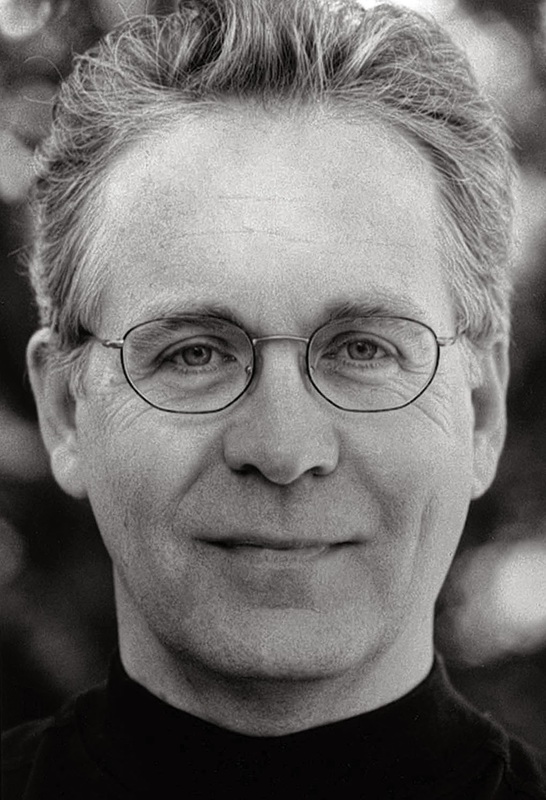 MARK FROST is the bestselling author of The Greatest Game Ever Played, The Grand Slam, and the novels The Second Objective, The List of Seven, and The Six Messiahs. He received a Writers Guild Award and an Emmy nomination for the acclaimed television series Hill Street Blues, was co-creator and executive producer of the legendary ABC television series Twin Peaks, and in 2005 wrote and produced The Greatest Game Ever Played as a major motion picture from Walt Disney Studios. Mark lives in Los Angeles and upstate New York with his wife and son. 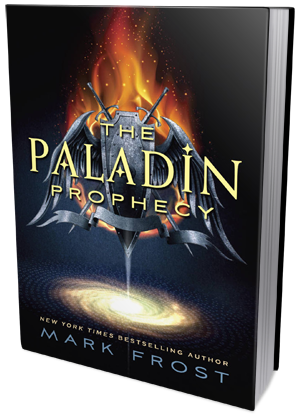 Thanks to the wonderful folks at Random House, 3 lucky winners will get both THE PALADIN PROPHECY and ALLIANCE by Mark Frost!